Stoneshire Builders’ mission is simple. We promise to build a home that is uniquely yours with honor, open lines of communication, methods, processes and innovation. With only the highest standards of ethics, we wouldn’t dream of building your home any other way! ​Stoneshire Builders is committed to creating a home that fits both your lifestyle and budget – any budget! They carefully limit the number of homes they build each year so they can focus on quality, craftsmanship, creativity and customer service. ​Upfront and honest, Stoneshire prides themselves in keeping you informed every step of the way, from costs to completion date. They've built their reputation on responsibility, professionalism and customer service, and will always strive to exceed your expectations. When Brian Eisemen started Stoneshire Builders in 2011, he had a vision beyond just building houses. He saw himself becoming a trusted partner with his clients, designing and creating personalized homes that fit each unique lifestyle, and that’s what he did. When you enter into a partnership with Stoneshire Builders, you can be certain they care about your new home and all the fine details, just as much as you do. 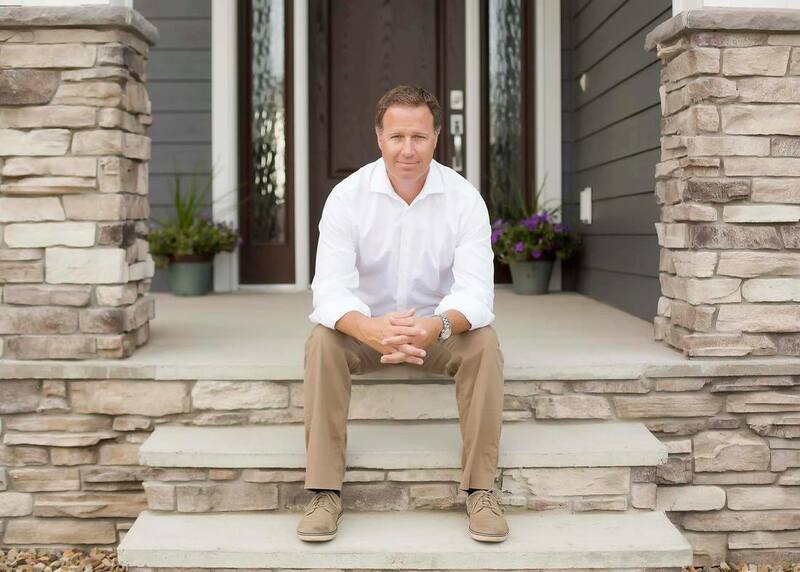 With more than 20 years of experience in the construction industry, Brian understands building high-quality, customized homes for any budget. He’s a registered civil engineer and a graduate of Montana State University – Bozeman. ​A North Dakota native, Brian moved to Bismarck in 1995 and is an active member of the community. He has served on the Board of Directors for the Bismarck Arts and Galleries Association, is a board member of the Bismarck-Mandan Home Builders Association and is on the Local Issues Committee through the Bismarck-Mandan Chamber of Commerce, former Chairman of the Bismarck Vision Fund, and Treasurer of Bismarck Mandan Development Association. From concept to completion of your custom home, we vow to honor and respect you, your wishes and your new home. We appreciate your trust in choosing Stoneshire Builders and know your home is a significant investment. We’ll treat it with the utmost respect, throughout the entire building process. Taking the time not only to listen, but to really hear you, be assured we will understand your expectations. Because communication is a two-way street, we’ll always be direct so you’ll never need to wonder what’s happening with your new home at any stage. We strive to be your partner in the homebuilding process. Processes help ensure things run smoothly. It’s our deepest belief that custom homebuilding can be easy and enjoyable when you’ve got methods in place! With a history in engineering, we have over 26 years of planning and execution experience. Our passion for innovation and the latest technology ensures building your new home will be a pleasant experience. When you entrust someone to build something as important as your home, you want to know they are trustworthy, reliable and ethical. You can count on Stoneshire Builders to exhibit only the highest of standards, morals, values and principles.